Super-strong mice with twice the muscular strength as average mice have been created by researchers from the Salk Institute for Biological Studies and two Swiss institutions, Ecole Polytechnique Federale de Lausanne (EPFL) and the University of Lausanne. The team created the super-strong high endurance creatures by suppressing a natural muscle growth inhibitor. Genome regulator NCoR1 is a molecular brake that decreases activity of certain genes. This brake can be "released" through mutation or using chemicals and this, in turn, reactivates gene circuits to provide more energy to muscle and enhance its activity. This lead to the creation of super mice with muscles that are twice as strong as those of regular mice, even when the muscle was inactive. Ronald M Evans, a professor at Salk's Gene Expression Lab, says: "There are now ways to develop drugs for people who are unable to exercise due to obesity or other health complications, such as diabetes, immobility and frailty. We can now engineer specific gene networks in muscle to give the benefits of exercise to sedentary mice." Sedentary sf readers have flexed their mental muscles by being exposed to the idea of augments in the Star Trek universe. 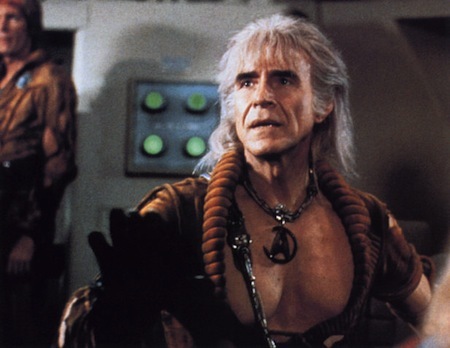 In the original series, Khan Noonien Singh is the leader of a group of Augments, the products of genetic engineering that were far stronger and smarter than ordinary humans. Johan Auwerx, the lead author from EPFL, said: "This could be used to combat muscle weakness in the elderly, which leads to falls and contributes to hospitalisations. In addition, we think that this could be used as a basis for developing a treatment for genetic muscular dystrophy." From Wired UK; thanks to Moira for contributing the tip on this story.